Along a quiet street, children happily run and play. Friendly parents wave from lawn chairs stationed in driveways. It seems around every corner is a well-kept park, green space. or trail. Welcome to Montgomery, Alabama, and the Deer Creek neighborhood. If your military family has orders to Gunter Annex or Maxwell Air Force Base, browsing listings on MilitaryByOwner is an ideal way to begin your house hunt. 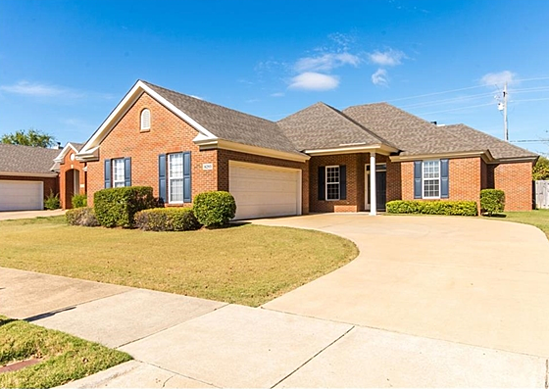 With a family-friendly neighborhood in mind, take a peek at this dynamic duo of Deer Creek properties as MilitaryByOwner highlights Homes of the Week in Alabama. **Note: This home is no longer listed. 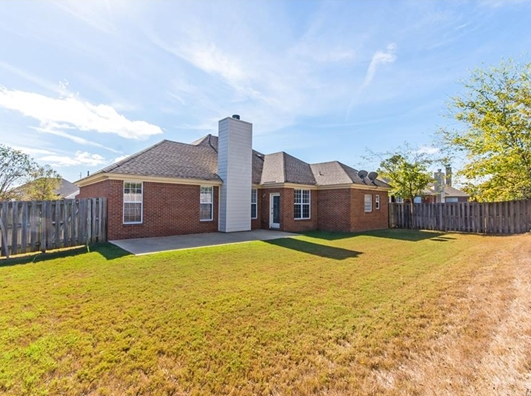 Check current MilitaryByOwner homes for rent listings in Montgomery. Nicknamed “The Heart of Dixie,” the state of Alabama is full of Southern history and snowy white fields of cotton. Tucked near the heart of popular shopping and dining destinations, you’ll find the Deer Creek neighborhood of Montgomery, Alabama. Located around 15 miles down I-85 from Maxwell/Gunter, the daily commute is a breeze from this premier property. Following the smooth curve of the driveway, the classic brick exterior and Southern style shutters invite a person to feel right at home. 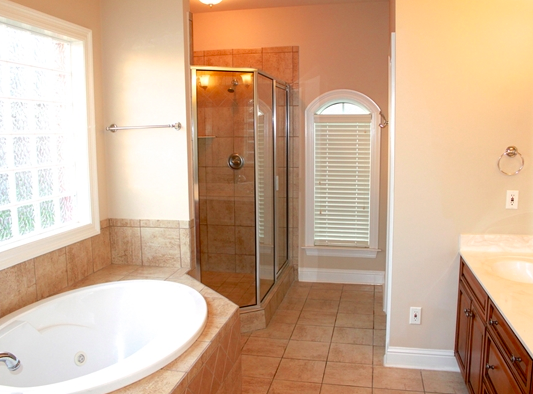 This 4-bedroom, 3-bathroom abode includes a spacious 2-car garage and a fenced backyard. Walking in the front door, it’s easy to see the potential of the house with the open layout of this 2,400 square-foot manor. Delight in the custom details such as doric columns, trey ceilings, and polished hardwood floors throughout. Tuscan style tile blends with abundant maple cabinetry, efficient appliances, and sleek granite counters. 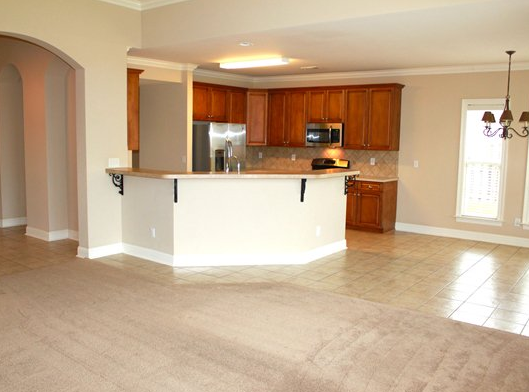 Linger at the breakfast bar or pull up a chair around a table in the spacious eat-in kitchen. Artisan fixtures and sun-filled windows immerse each living space in pleasing light. The elegant family room mantle rests above a cozy fireplace surrounded by grey slate. 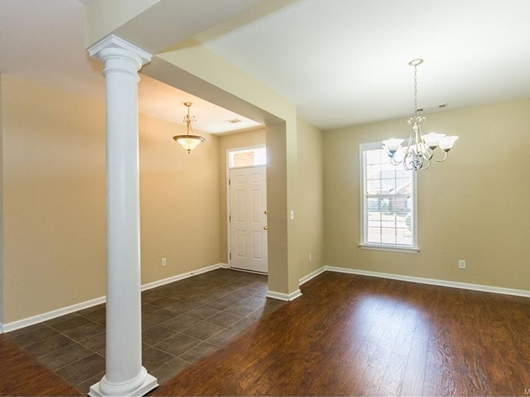 Truly a blank canvas for a military spouse with a flair for interior design. If looking for “a little something extra” with an assignment to Alabama, this remarkable home may be the perfect fit! As noted on Military Town Advisor, the Deer Creek neighborhood is a favorite spot among military families with orders to Montgomery. A big plus of this sought-after neighborhood is the easy commute to the base at Maxwell or to the annex at Gunter. Less time spent on the road means more time with family and added time for new friends to gather at this lovely Dixieland home. *This home is no longer listed. 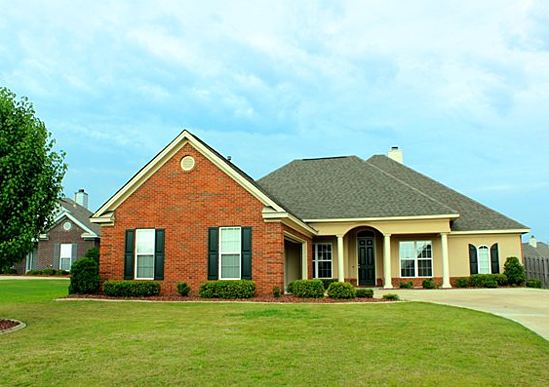 Check current MilitaryByOwner homes for rent listings in Montgomery. 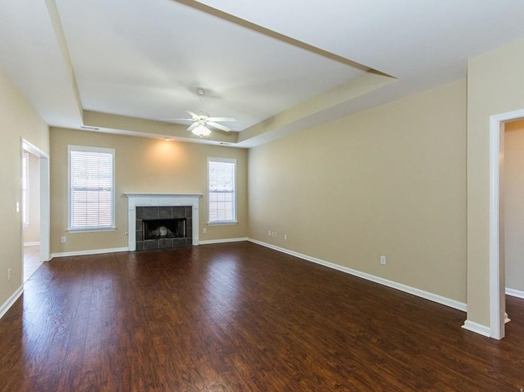 At 2,300 square feet, this house offers plenty of room to entertain. The open concept kitchen includes a wrap-around breakfast bar with Corian counters, stainless appliances, and red maple cabinetry. The adjoining dining area includes access to the covered patio and fenced back yard. Graceful windows immerse each living space in warm Southern sunlight. 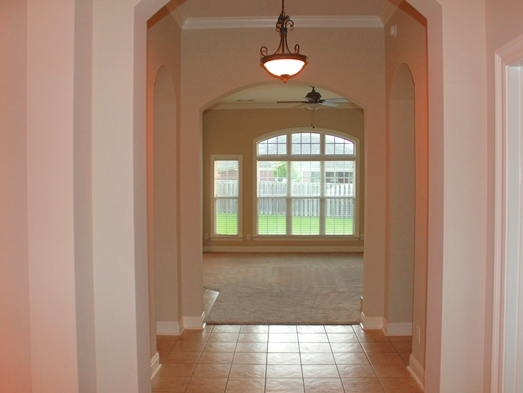 Architectural curves and arches flow from room to room. With this 4-bedroom, 3-bathroom manor, picture your military family moving right in. With Italian-inspired tile throughout, the luxurious master bath offers a superior level of spa quality pampering. Drift away on a daydream in the generous-sized garden tub. Linger in the sumptuous shower. Savor the spacious double vanity and nearby walk-in closet storage. An added perk to this premier property are the many amenities of the friendly neighborhood. Play a match or two of tennis, work out at the fitness center, or add to your step count with the walking trails. To beat the Alabama heat, cool off at the refreshing splash pad or go for a swim in the sparkling community pool. 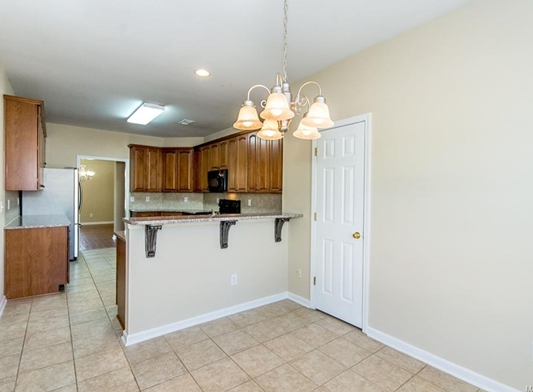 Perfect for a busy military family, this must-see Montgomery rental will be scooped up quickly! From dynamic history lessons at the Rosa Parks Library and Museum to hands-on fun with the Montgomery Zoo playground and exhibits, there are plenty of things to see and do in this Southern capital city. If you're looking for other features, be sure to check current MilitaryByOwner homes for rent listings in Montgomery. For tips on preparing your military family for a PCS, or further information on buying a home or renting a property, browse the wide array of posts and articles available at MilitaryByOwner.